The APQP process ensures that our automotive customers are involved in every step of the development and launch process. The APQP process monitors more than 23 topics before production is even started. Topics like design robustness, design testing, quality inspection standards, product packaging, and more. For more on APQP, read our blog article: Why Risk Poor Precision Metal Stamping Quality? Automotive Industry Averts Risk with APQP. CPPD is a process that ensures the project design not only meets with customers' expectations, but also incorporate Kenmode's input. By interfacing with the customer early on, Kenmode is in a position to discuss better ways to to design out failures, increase productivity, and keep an eye on quality. Kenmode relies heavily on SPC, an application of statistical methods and procedures (such as control charts), to analyze the inherent variability of the metal stamping process and part production. Control charts helps personnel understand what is likely to occur next and when an unstable condition takes place requiring further study. For more on SPC, read our blog article: Want consistent precision metal stamping quality? Insist on SPC. In order for production to flow smoothly, eqiupment must function flawlessly. 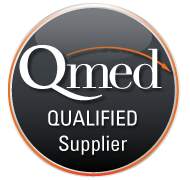 Kenmode verifies equipment quality through a series of processes including: Design Qualification (DQ), Installation Qualification (IQ), Operational Qualification (OQ), and Performance Qualification (PQ). Kenmode has implemented GR&R for added quality assurance. Through GR&R, personnel can determine the accuracy of a measurement by establishing its repeatability (several measurements taken by the same person are identical in value) and reproducibility (several measurements taken by different persons are identical in value). For more on GR&R, read our blog article: Does your precision metal stamper practice MSA? Ask!